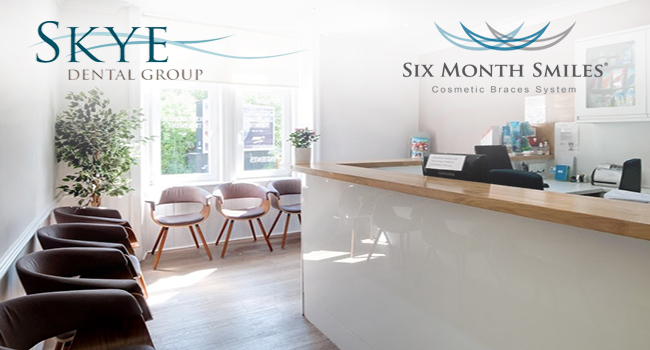 Six Month Smiles is a fixed brace system, which straightens the teeth in just six months. Six Month Smiles was developed in the USA and it has become very popular in the UK. Six Month Smiles braces are much lighter and more discreet than traditional fixed braces and they are ideal for people who are preparing for a special occasion, such as a wedding. How do the Six Month Smiles braces work? 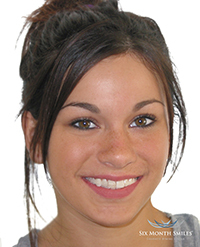 Six Month Smiles braces focus on the front teeth, as they can be seen when a patient smiles. The teeth are encouraged to move by the forces generated by the brackets and wires of the braces. Stage 1: One of our Six Month Smiles dentists will examine your mouth to check that you are the right patient for Six Month Smiles treatment; they will also talk about the braces with you and answer your questions. Stage 2: Your dentist will create impressions of your teeth and send them to the laboratory in the USA. The impressions will be used to create your new Six Month Smiles braces. Stage 3: Once your braces have been sent back to us, we will fit them and treatment will start. We will arrange check-ups with you throughout the treatment process to make sure that you are happy with your braces. Why choose Six Month Smiles braces? 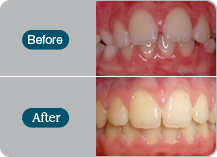 The major benefit of Six Month Smiles braces is that they work very quickly. The braces are also discreet, comfortable and painless. Six Month Smiles braces are usually less expensive than other orthodontic treatments. Six Month Smiles work in a similar way to traditional fixed braces, but they generate gentler forces and focus on the front teeth, rather than all the teeth. What is the length of treatment generally? Six Month Smiles straightens the teeth in around six months, making it an ideal treatment for people who want results fast. The cost of treatment varies, but Six Month Smiles tends to be less expensive than other orthodontic braces; we will discuss costs with you at your consultation. Can anyone have Six Month Smiles braces? No, Six Month Smiles is not suitable for everyone; it is designed for people who have orthodontic problems affecting the front teeth. If you have problems with your back teeth, you may be advised to consider alternative treatments. 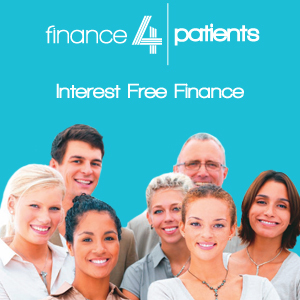 We will be happy to talk to you about your treatment options.